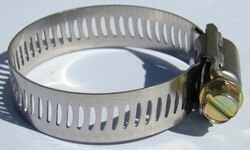 We are counted amongst the finest manufacturers and suppliers of this commendable range of Mild Steel Hose Clamp. For the purpose of providing the best, we manufacture these as per the set industry norms and guidelines, using the highest grade of raw materials and modern machines. Owing to this, quality of the offered range never deteriorates. In addition, we offer the product at the best rate possible. 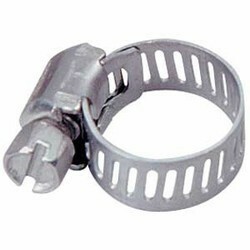 Made available to clients at a market leading rate, the offered Stainless Steel Hose Clamp is highly praised and preferred in the market. Manufactured in compliance with the set industry norms and guidelines, its quality never deteriorates. Owing to the highest grade of raw materials and modern machinery used in its making, the offered product has a longer life, commendable sturdiness, superior resistance to corrosion and high dimensional accuracy.